YMV designs and manufactures single and double boom cranes for Shipyard and Port applications. As well as gantry cranes, single and double boom cranes are available with ergonomic operator cabinets. Capacity range is between 3t-100t. Boom outreach is between 10 mt-70 mt. 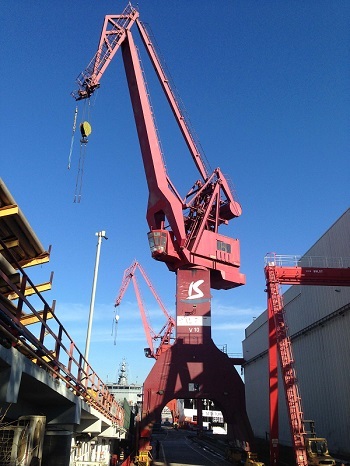 YMV Electric driven cranes are preferred for smart handling of loads at Shipyards, Ports and Drydocks.